PostgresOpen SV 2018 will be held on September 5th - 7th in San Francisco at the Parc 55. It will cover topics for PostgreSQL users, developers and contributors, as well as decision and policy makers. For more information about the conference, please see About. Please note that PostgresOpen is open to all audiences and ages. All talks are expected to be appropriate for a diverse group. Please see our Conference Policies and feel free to contact the Committee with any questions. The submission deadline for tutorials and regular sessions is June 12, 2018. The conference commitee will review proposals and notify selected speakers by June 19, 2018. The final schedule to be published nearer to the conference dates. We will have a lightning talks session again this year! A separate CfP will be made for lightning talks closer to the conference dates. All selected speakers will get free entry to the conference (excluding training sessions and tutorials). We do not in general cover travel and accommodations for speakers, but may be able to do that in limited cases. If you require assistance with funding to be able to attend, please make a note of this in the Submission Notes field. The first step to submit your proposal is to set up, or review for returning speakers, your speaker profile here. This system uses the PostgreSQL Community Auth system (the same system used by the PostgreSQL wiki, CommitFest, and pgconf.eu). Log in to the system with your PostgreSQL Community Auth credentials. Please note that while this is the same code, the speaker profiles are not shared between postgresql.eu and postgresql.us. Once you've created your profile, this page will provide a link to a form where you can submit your talks for PostgresOpen SV 2018. When the site prompts for a login, use your regular postgresql.org community account. Should you already have your speaker profile, you can go to the talk submission page directly here. 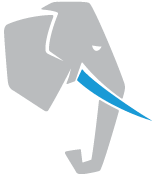 Of course, we're happy to receive proposals for talks on other PostgreSQL-related topics as well. Training/Tutorials are expected to run around 3 hours with at least one break, possibly more, and should be submitted by selecting the Training track.